My kids have been anxiously waiting for DreamWork’s new movie Home to come out in theaters for the last few months. Sadly my daughter was sick this past weekend so we weren’t able to see it on it’s opening weekend. She was very upset about it so we did the next best thing…We made a Paper Bag Oh Puppet. 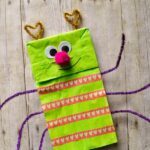 This kids craft is a perfect way to extend family time at home either before or after going to see the movie and I included my pattern, free for download, to make the craft even more simple. 1. 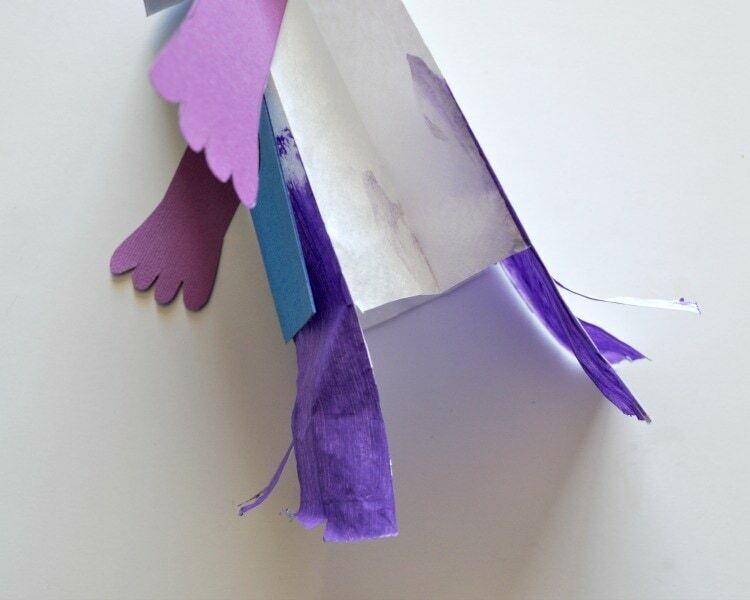 Start by painting your paper lunch bag with your purple paint. You don’t need to paint the entire bag, just the very bottom of the bag, about half of the front of the bag, and paint half of the inside of the bag as well. I found it easiest to paint the bottom and front of the bag, then open it up completely to paint the inside. Leave the bag completely open to allow it to dry. 2. While your paper bag is drying, print out your Oh Pattern. I recommend printing it out on cardstock. 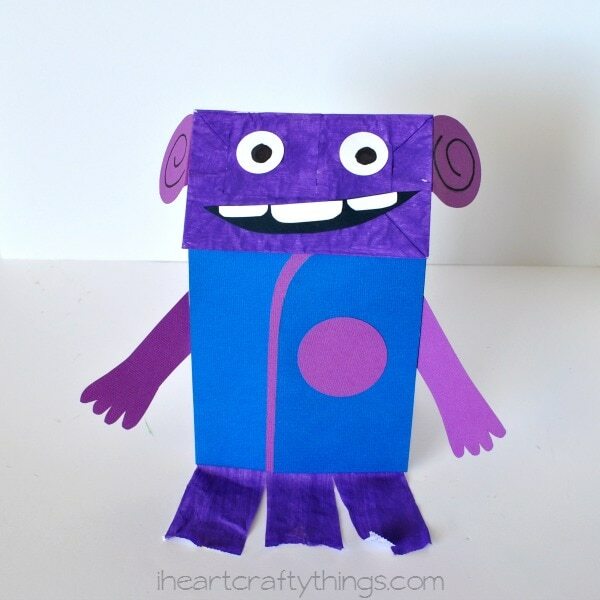 Cut out all the pattern pieces and use them to trace the pieces onto your cardstock paper. You can see in the picture below what colors to use for all the pieces. 3. 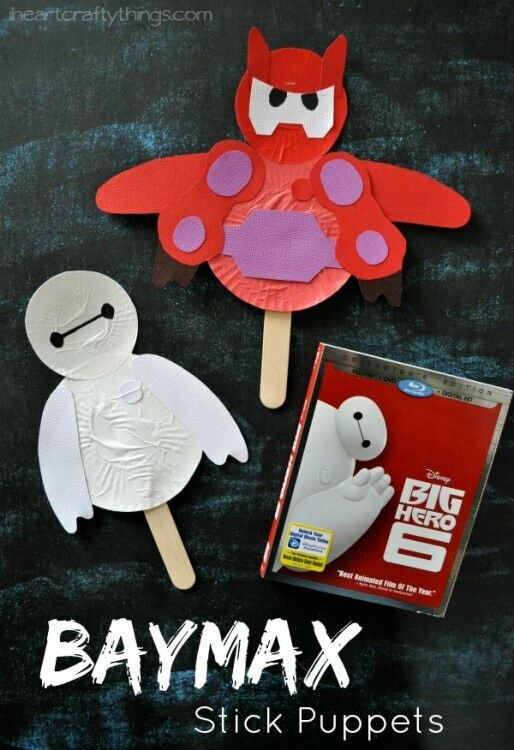 Now it’s time to assemble your puppet. Glue the pieces of the sweater together and glue it to the front of the paper bag. Also, glue your arms inside the side-creases of the puppet. 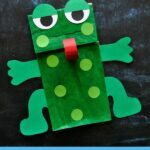 Put glue on the front of the arms so they attach at the front fold on the side. 4. Use your black marker to draw pupils inside your eyes and to draw the hair swirl on your two purple circles. Glue your eyes, mouth and teeth onto the face of the puppet. 5. 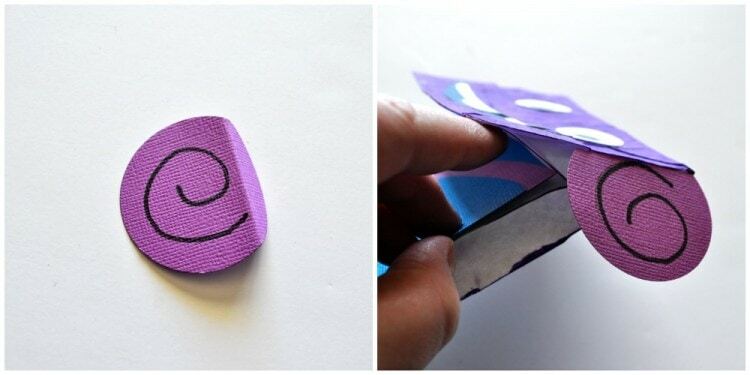 Make a fold on your purple circles about one-quarter way down to make a straight edge. Glue them right under the face on the inside flap. Look at the picture below. 6. 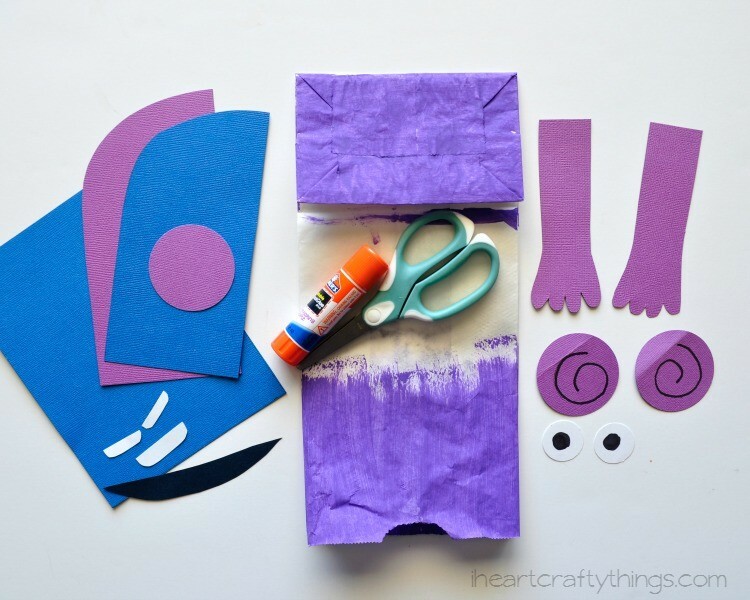 To finish the puppet, open him up and cut a few inches off of the sides of your paper bag at the bottom. See picture below. 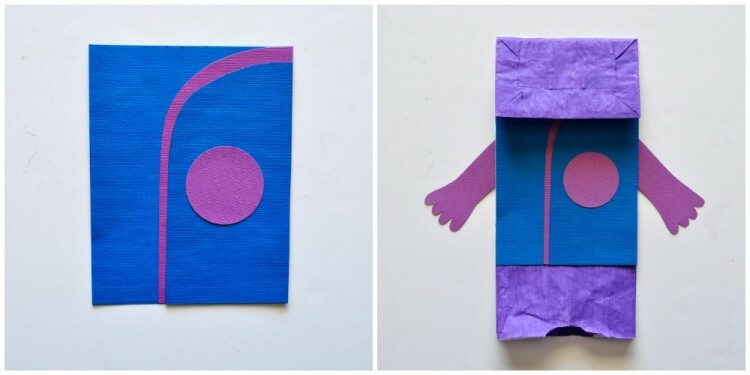 Then make two cuts on the front and back of the puppet to create three legs on each side. 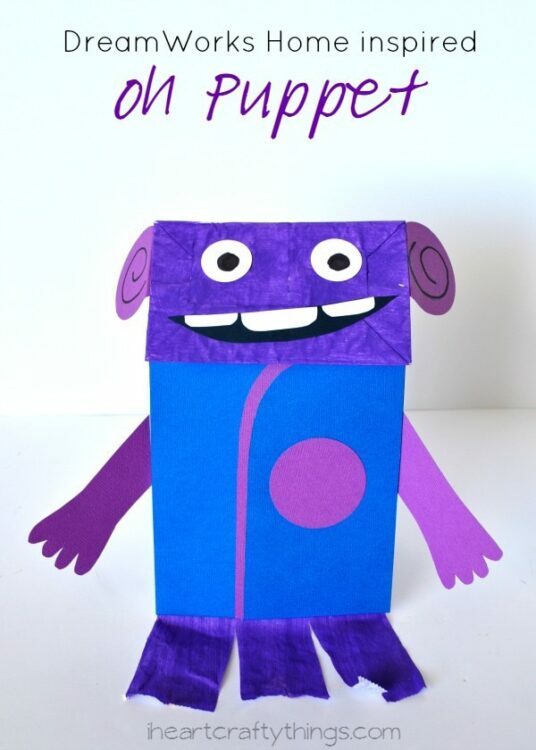 Now just slip your hand inside the paper bag and you have a fun Oh Puppet. 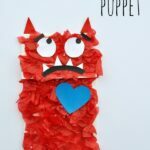 My daughter keeps dancing her puppet around and saying “My hands are in the air like I just do not care!” just like in the movie. Have you signed up for our weekly Newsletter yet?